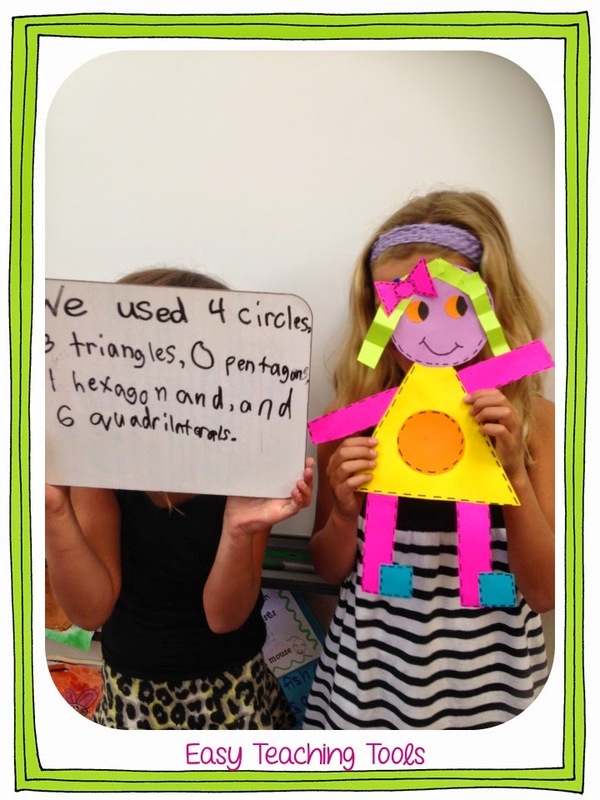 We’ve had so much fun with our geometry unit this year. 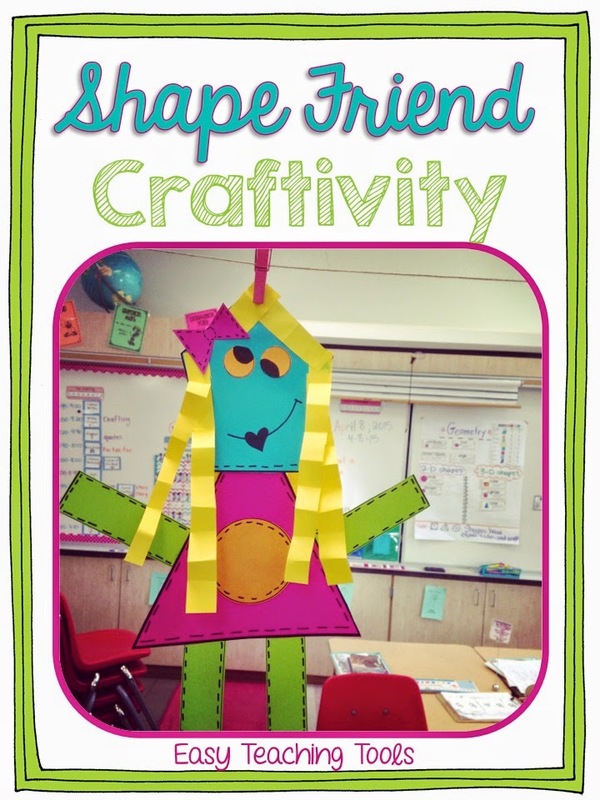 My kiddos have loved all of the hands-on activities and this adorable craft! 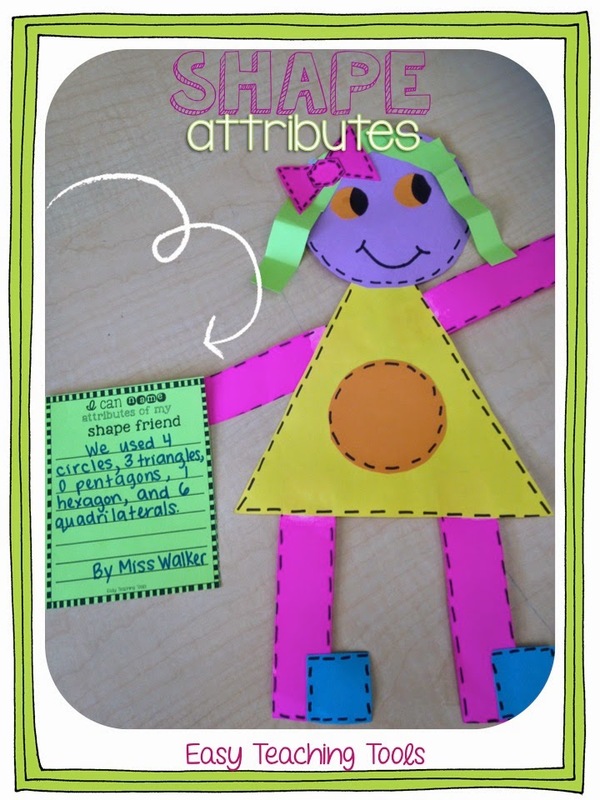 I thought it would be fun for kiddos to put different shapes together to create their very own shape person. You know I love cute things that are easy to prep so I’ll be sharing some of my favorite items as part of the Amazon Affiliate program where I will receive a small fee for my referral. I chose bright colors to give a POP of color to our room! Choose Astrobright colors that work well in your room. I laid out the pieces, salad bar style, and let the kiddos come up and get what they needed. 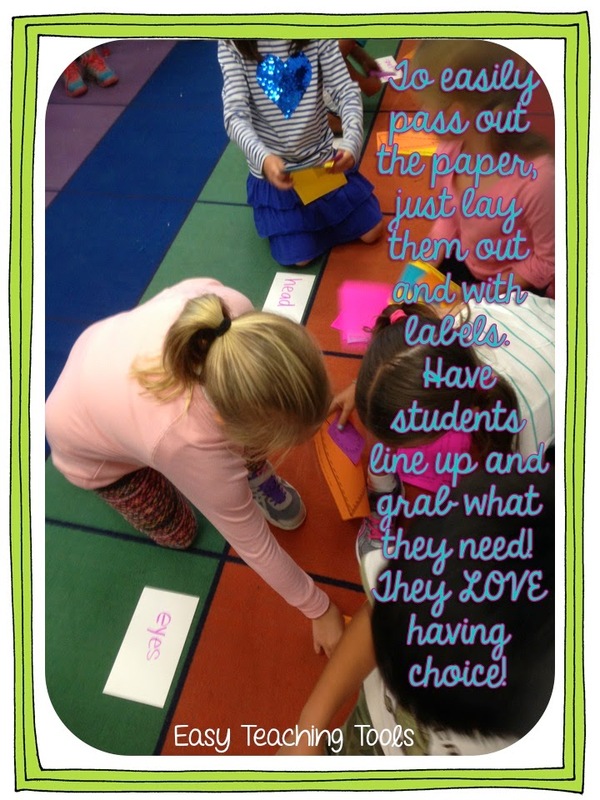 I had kiddos work in pairs so they came up, walked down the line, and grabbed a copy from each pile. It was so easy AND organized! 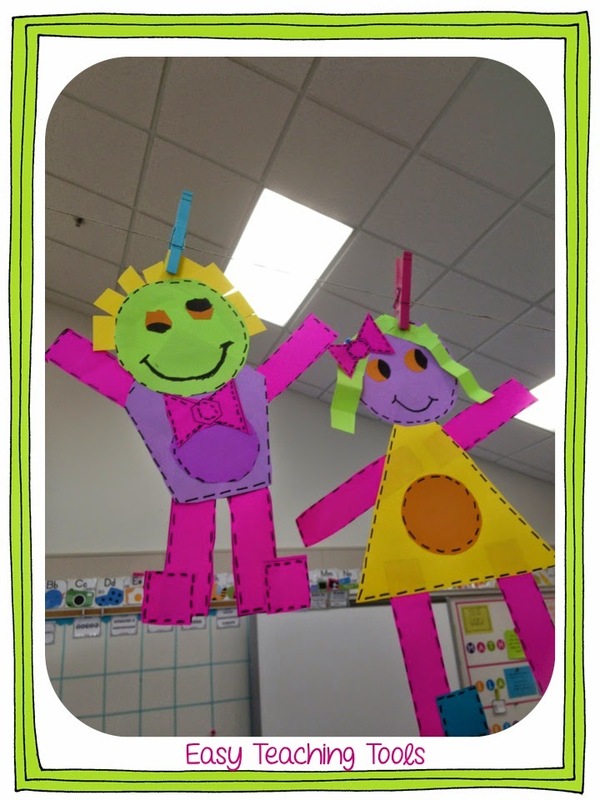 There was so much happy chatter among my kiddos as they cut and planned out their little shape person. I promise you, there was almost no direction on my part, they did it all on their own. They really loved the freedom of this project. 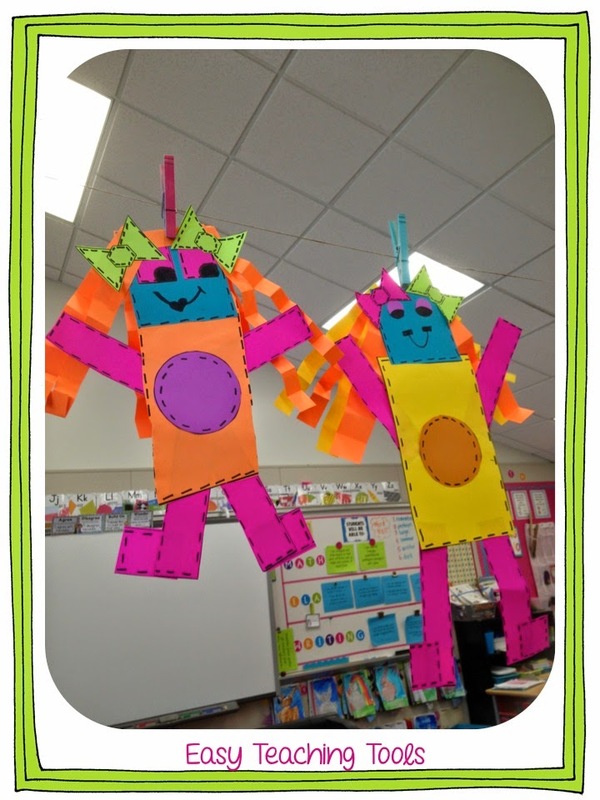 I laid out different scraps of paper left over from other crafts and kiddos twirled, crimped, and cut it into hair. Students worked together to write down the attributes on a whiteboard and presented it to the class. It was a great way to assess their speaking and to check their understanding of attributes of a shape. Once students fixed any errors, they copied what they wrote onto their fancy paper! 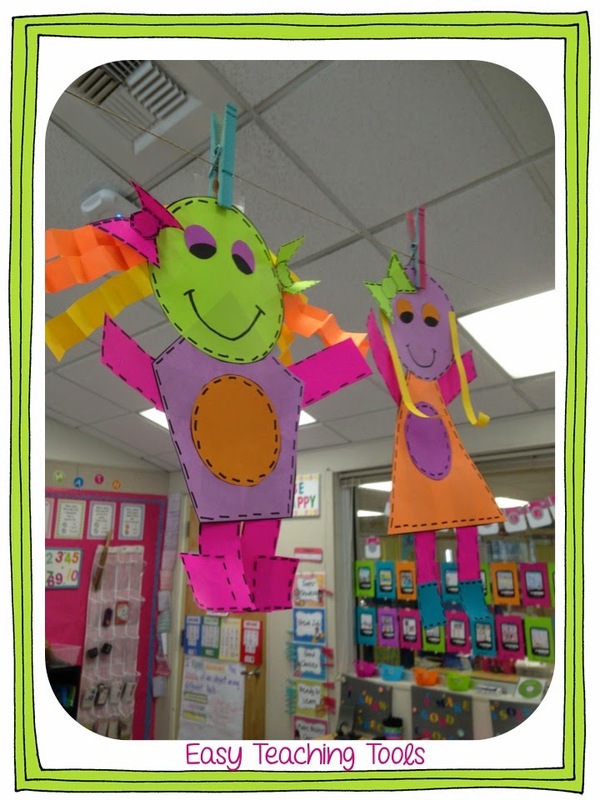 We just added simple smiley faces, Melonheadz Style and glued on the writing to the little hands! Hang them up in a spot that needs a POP of color! These little guys were such a big hit at Open House. But honestly, they look great anytime of the year! 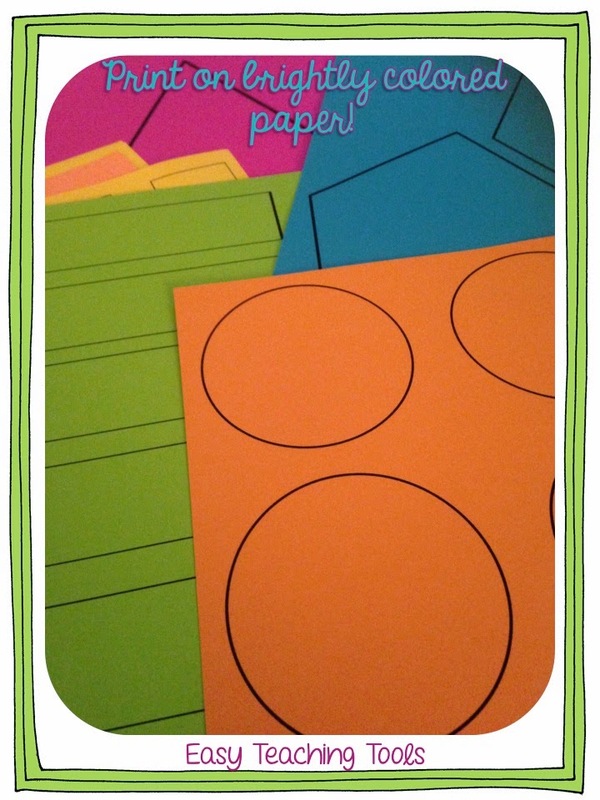 If you’re looking for more math activities and centers, you will love my Math Centers bundle. 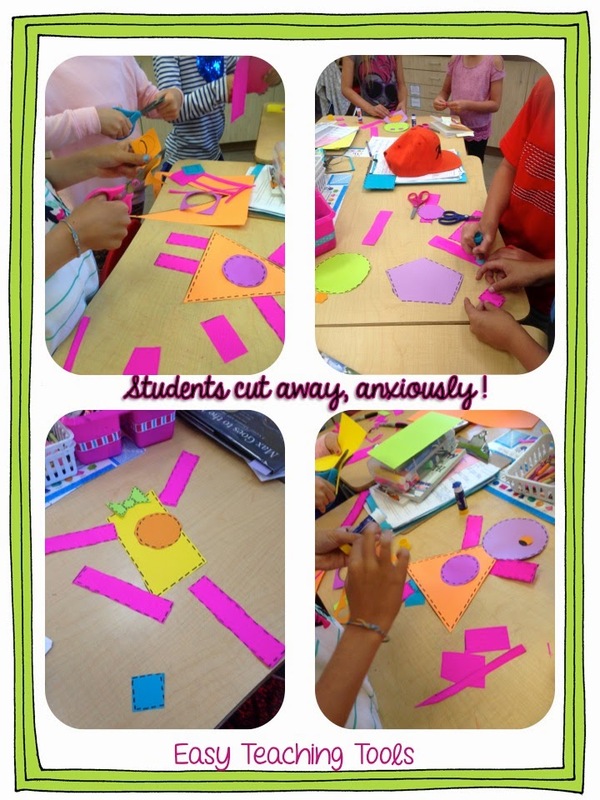 Cutouts are always a fun art project idea. 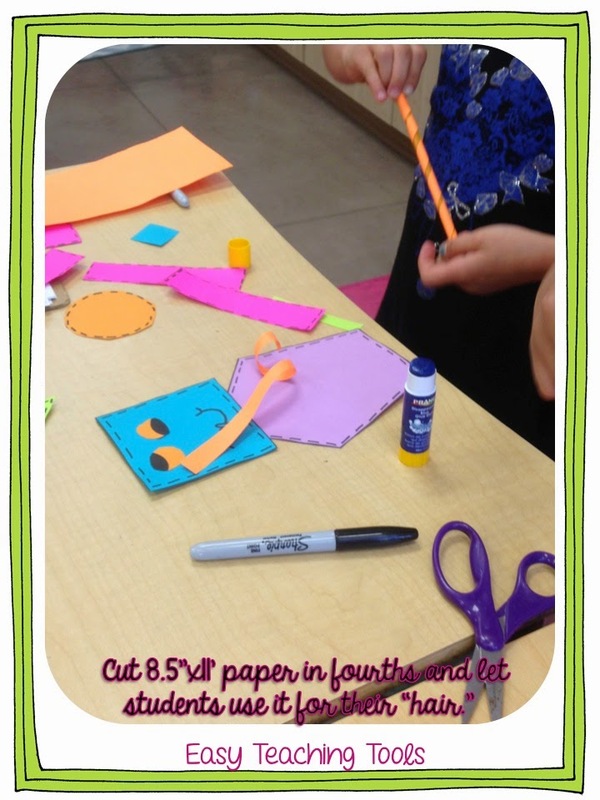 It's a great way to get those little tripod fingers to work together as well. 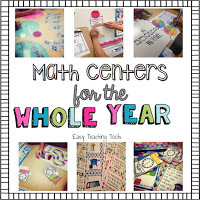 Will check out your Math Centers bundle for sure. 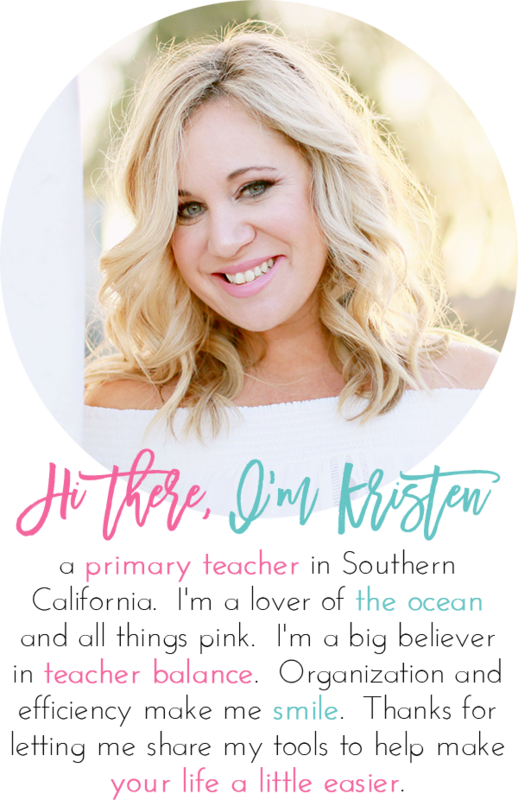 Thanks for the great post Kristen!